I really got into this album over the summer, as anyone who rode in my car with me can likely attest to. 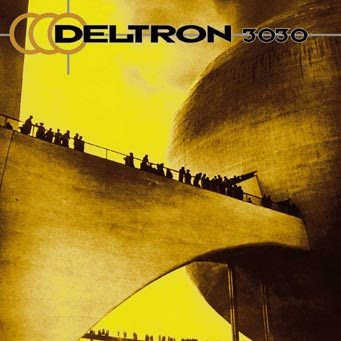 Deltron 3030 (the group) is Del tha Funkee Homosapien (you know him as the rapper from "Clint Eastwood" and "Rock the House" by Gorillaz), Dan the Automator (the producer of the first Gorillaz album) and DJ Kid Koala (I wasn't familiar with him, apparently he does all the turntable work). I see Deltron 3030 as being the precursor to the first Gorillaz album; without this record I'm not sure Gorillaz would be around today. Damon Albarn met Del and Dan when he agreed to lay down some vocals for this record. The rest is history.